Prostate blood clot. 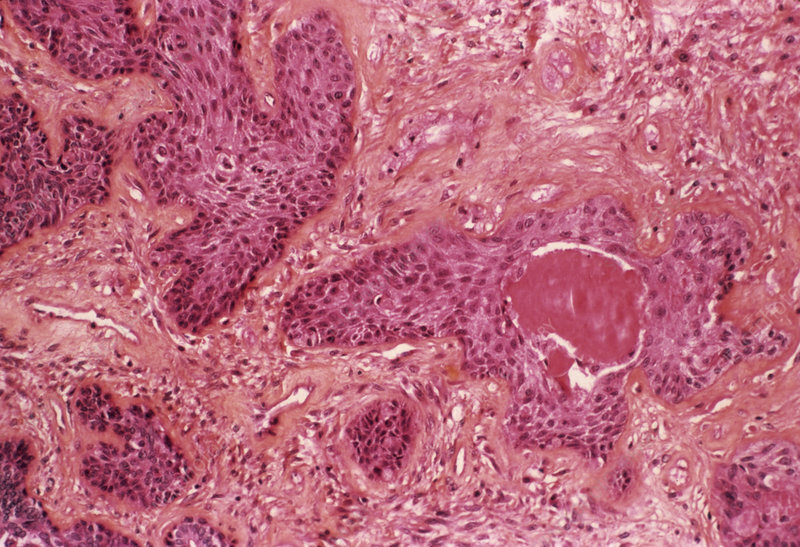 Light micrograph of a blood clot (centre right) blocking a blood vessel in the prostate gland. An abnormal blood clot like this is called a thrombus. It has caused infarction (tissue death) in the prostate tissue by cutting off the blood supply. In general, dead tissue will stain less well than live tissue. Here, the cell nuclei (small spots) stain a dark colour.